Today is International Jazz Day. UNESCO created this event "to raise awareness in the international community of the virtues of jazz as an educational tool, and a force for peace, unity, dialogue and enhanced cooperation among people." Don't feel bad if you don't remember celebrating it in years past: April 30, 2012, is the very first. What aspect of jazz and the law should I feature in our post for this first International Jazz Day? There's jazz and copyright (see, e.g., Note, Jazz Has Got Copyright Law and That Ain't Good, 118 Harv. L. Rev. 1940 (2005), HeinOnline) or jazz and land use regulation (see Paul Chevigny, Gigs: Jazz and the Cabaret Laws in New York City (1991), catalog record). For now, let's look at one instance of jazz, civil rights, and aviation law. In July 1954, Ella Fitzgerald was traveling with John Lewis (her pianist) and Georgiana Henry (her secretary) from San Francisco to Sydney, with a stop for refueling in Honolulu, where they would be joined by Norman Granz, Fitzgerald's manager. * After the stop in Hawaii, though, Pan American staff would not let Fitzgerald, Lewis, and Henry reboard the aircraft. They weren't even allowed to go back on to retrieve the personal items they'd left at their seats. They were stranded for three days and missed some Australian concert dates. They sued, alleging that they had been subjected to this humiliation because they were Negroes. Pan Am denied discrimination. Pan Am also tried to get the case dismissed for lack of jurisdiction, but the Second Circuit held that the Civil Aviation Act created a cause of action "arising under" federal law. Fitzgerald v. Pan Am. World Airways, 229 F.2d 499 (2d Cir. 1956). The parties later settled. Thanks to the National Archives, which has the court records, you can read the complaint, a typescript of the Second Circuit decision, and the Satisfaction of Judgment (this is only for $76, but the Chicago Defender reported that the full settlement was $7,000). The Chicago Defender is among the e-newspapers available from the UW Libraries. See also Kate Kelly, Airline Passengers Needed Their Own Rosa Parks, Huffington Post, Nov. 17, 2009. This post discusses other incidents of Jim Crow flying, including Jackie Robinson's difficulties getting to spring training in Florida. On May 3 (4:30-6:30 pm), the Washington Law Review and UW Law will host a roundtable discussion, Progress in Reducing Racial Disparities in Washington's Criminal Justice System. For further reading, see our guide, Race in the Criminal Justice System. With the Mariners season underway, you may want to combine your love of baseball with your love (or hatred depending on how far into finals studying your are) of the law. If so, take a glance at some of these law review articles about baseball. Baseball’s Moral Hazard: Law, Economics and the Designated Hitter Rule, 90 B.U. L. Rev. 2083, by Professor Dustin Buehler and UW’s own Professor Steve Calandrillo, covers two topics sure to get anyone riled up: the DH and law & economics. While Professors Buehler and Calandrillo make a good effort at explaining the value of the DH, those of us fortunate enough to have been raised without it (Go Phillies) will never concede that it is a utility maximizing rule. Who Owns the View? Chicago Cubs v. Rooftop Owners, or Chicago National League Ball Club, Inc. v. Sky Box on Waveland, L.L.C., 1 Nw. J. Tech. & Intell. Prop. 6, by Charels Shifley and Patrick Shifley, describes the legal battle over views of Cubs games from the rooftops adjacent to Wrigley Field. Baseball’s Accidental Racism: The Draft, African-American Players, and the Law, 44 Conn. L. Rev. 197, by Professors Joanna Shepherd Bailey and George B. Shepherd of Emory, uses law and economics tools to determine that the draft and age limits imposed on U.S. born players violates the Civil Rights Act of 1964. Baseball Bats Out of Hell: Potential Theories of Liability Arising from Maple Bat Injuries, 8 DePaul J. Sports L. & Contemp. Probs. 95, by Joe Novosel, discusses many of the issues raised in your Torts class, but this time involving baseball bats. Topps Gets Exclusive License, Leaving Upper Deck on the Bench: an Analysis of Major League Baseball’s Antitrust Exemption in the Modern Era, 22 Marq. Sports L. Rev. 235, by Sarah A. Padove, discusses baseball cards, antitrust law, and Major League Baseball's exemption from antitrust statutes. To find all of those articles I used a sometimes overlooked tool called Legaltrac. Legaltrac is an index to legal publications including law reviews, legal newspapers, and Bar journals. Members of the UW Law community can access Legaltrac from the Gallagher Homepage under “Selected Databases”. If you are not on campus, be sure to use the “Off-Campus Access” link in the upper right corner before you choose a database. Established by the Academy of American Poets in 1996, National Poetry Month is a month-long, national celebration of poetry which takes place every April. It’s a perfect time to revisit a poem that is meaningful to you, learn a new one, or even write one of your own! Source: The Walt Whitman Archive. Ed Folsom and Kenneth M. Price eds. (last visited April 24, 2012). Walt Whitman, Thought, in Leaves of Grass, By the Roadside 217, available at http://www.whitmanarchive.org/published/LG/1891/poems/140. For more on law and poetry, one book in the Gallagher Law Library you may want to browse is Poetry of the Law: From Chaucer to the Present (David Kader & Michael Stanford eds., 2010), a selective anthology of 100 poems about the law from the 1300’s to contemporary times. Respectfully Quoted:A Dictionary of Quotations Requested from the Congressional Research Service (Suzy Platt ed., 1989) also includes poetry selections. This book is arranged by subject, and includes an alphabetical index of keywords and authors. Students, remember that the reference librarians and law librarianship interns have created more than 100 great online Legal Research Guides to help you get started on your research project! Our Research Guides can save you time and point you in the right direction when you’re tackling a research issue. The Guides can be accessed on the Library’s home page or at the following link: http://lib.law.washington.edu/ref/guides.html. The Library has recently been working on updating our Free Law Online Guide by revising sections and moving them to their own pages. You can take a look at the in-progress page at: http://lib.law.washington.edu/content/research/freelaw. We hope to have all of the categories of the original Free Law Online page updated and moved to the new platform by the end of Spring quarter. Note that some of the sites in Free Law Online are UWRestricted, which means that they are only available to University of Washington faculty, students, and staff and visitors to UW Libraries. Free Law Online does not include material that is available on Westlaw or LexisNexis. Let us know what you think about Free Law Online! Tiptoe Through the Tulips..of the Law! 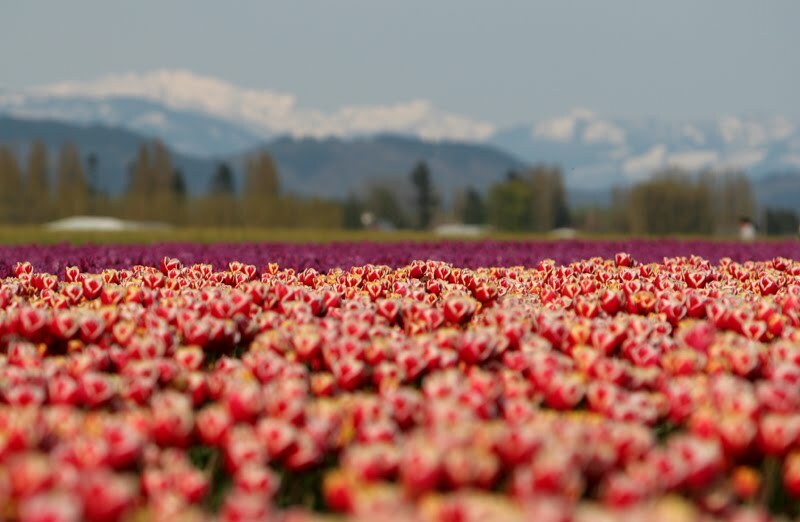 Spring is in full swing in Seattle! 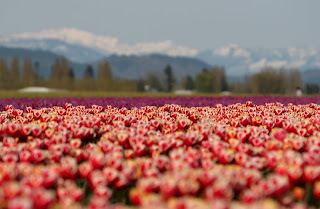 The cherry trees blossomed a few weeks ago, this weekend was warm and sunny, and the Skagit Valley Tulip Festival is in full bloom! 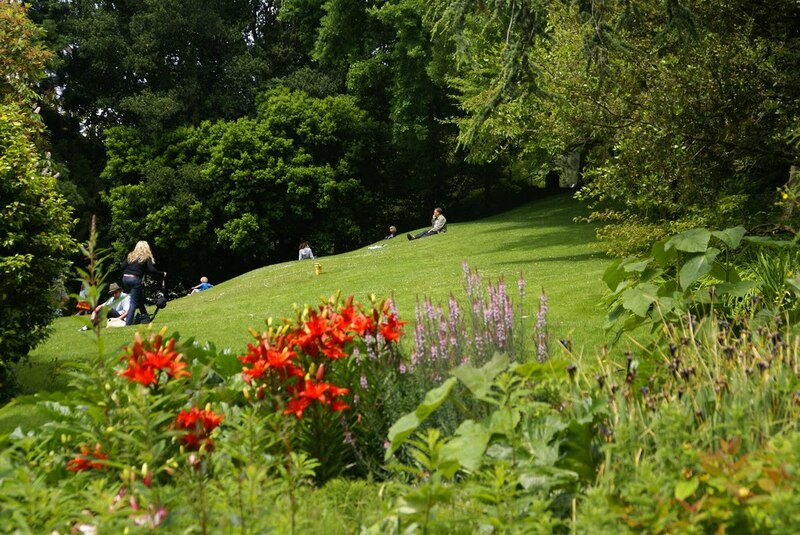 For garden enthusiasts and aspiring botanists, botanical gardens are often great places to visit. 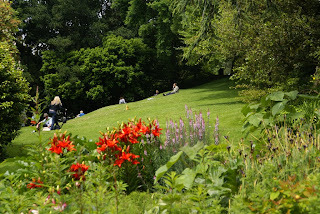 Seattle has several wonderful spots --from the Washington Park Arboretum to the Volunteer Park Conservatory to the Carl S. Jr. English Botanical Garden near the Hiram M. Chittenden Locks in Ballard. Congress also has a garden! 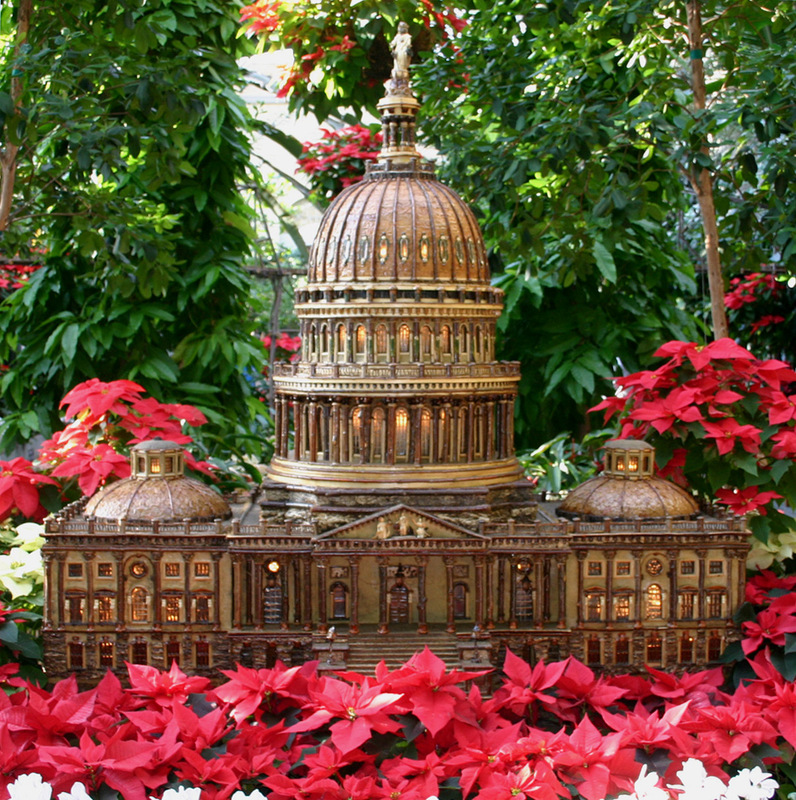 In fact, the United States Botanic Garden is part of the federal legislative branch. 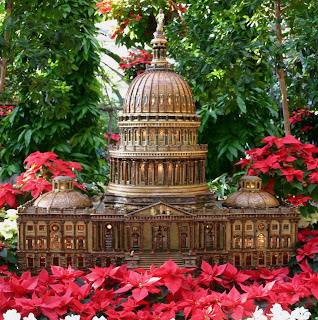 President George Washington himself suggested that a botanic garden be part of the nation's planned capitol in 1796, and President James Monroe signed a bill in 1820, which led to the position of the garden next to the Capitol building. The Garden continues to promote botanical knowledge and plant conservation to this day. If you can't make it to Washington, D.C., check out A Botanic Garden for the Nation, by Anne-Catherine Fallen, available at QK73.U62 U553 2007 in the Classified Stacks. 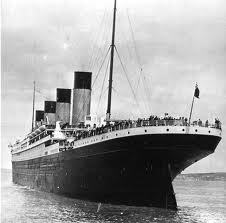 The Library of Congress's blog, In Custodia Legis, has a great post on laws and legal developments relating to the Titanic. National Library Week Peepshow Winners! The polls are closed and the votes have been tallied. Congratulations to Mary Whisner, one of the Gallagher Law Library's own reference librarians, who created this detailed, multi-peep entry. Mary's interest in this subject runs deep; for the last year or so she has been working on a digital project involving the origins of the Washington Constitution. A single vote separated the number 1 and 2 entries in this category, with the Serial Peepers edging out Pearl's Peeps. Those clever creators in the Law Library's serials department crafted another multi-peep entry. Congratulations all around!! Who could resist the peeps' impression of Rovio's Angry Birds, one of the most popular smartphone games of the past year. Our best in show ultimate winner is Anna Endter, a law librarianship intern. Thanks to everyone who submitted entries and to peeple who voted for their favorites. We hope you all enjoyed National Library Week! deadly weapon. (16c) Any firearm or other device, instrument, material, or substance that, from the manner in which it is used or is intended to be used, is calculated or likely to produce death. • In some states, the definition encompasses the likelihood of causing either death or serious physical injury. While stilettos have already been identified as a potential cause of injury to the wearer, they are now increasingly viewed as dangerous to others. A San Francisco restaurant manager may want to argue that Louboutin shoes are a deadly weapon after an angry fashionista allegedly cracked his skull with a famously red-soled heel. The victim tweeted a picture of his well-attired attacker and offered a $500 reward for his attacker's name. Police are on the look out for the "shoe rage" attacker and have identified the shoe as a weapon. “In this particular case, where it caused a serious laceration to the victim, it was in fact used as a weapon,” said Sgt. Darryl Fong. If the attacker is apprehended, her attorney may need to come up with some creative defense techniques. If you are interested in criminal defense, the library has great resources for you! Check out Criminal Defense Techniques, published by Matthew Bender. KF9655 .C7 at Classified Stacks. As noted in a previous post, the ABA Journal sponsors an annual Peeps in the Law contest, which inspired our own National Library Week Peepshow. Well, voting is now open for the ABA's contest as well. In the "great minds think alike" category, an entry in the ABA's contest is a multipart tribute to the US Constitution and the Gallagher Law Library's contest has a multipart entry on Washington's Peepulist Constitution. Or visit the home of all things Peep for a list of other contests and lots more fun, like a recipeep for Lemon Curd Cake; a gallery of Peeps photos and dioramas; and an introduction to the new, chocolate-dipped, mousee-flavored Peeps (in milk and dark chocolate flavors! Yum!). And while you have peeps on the brain, check out the entries in our National Library Week Peepshow Contest and vote for your favorites!